The Education and Teacher Training program is designed to provide students contemplating a career as a teacher or in any occupational area that focuses on children, with the knowledge, attitude, behaviors and skills required to be effective in a school setting or in the wider community. The program offers practical experience at the Little Clipper Preschool in which classroom instruction is applied in a real situation. The program offers students completing the two-year sequence of study an opportunity to explore various levels of teaching through internships. Students may receive Red Cross Infant/Child CPR certification. Dual enrollment with SNHU: 5 courses offered to students over the period of two years. Carla started at PHS in August of 2003. She is the Education and Teacher Training Instructor. 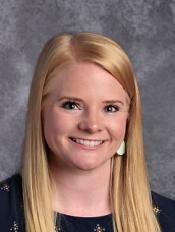 She started at PHS as the Little Clipper Preschool teacher in 2003 and she also taught Child Development and Parenting/Families. In 2012 she was hired as the full time Education and Instructor Training Instructor. Carla has two Master of Education degrees, one in Early Childhood Education with Special Needs and one in Curriculum Instruction and Design. She is ambitious, flexible and has a wonderful sense of humor. Her goal is to create a safe learning environment where her students will gain the necessary knowledge and skills to be successful. Alexe started at PHS in September of 2012 as the Little Clipper Preschool Teacher. 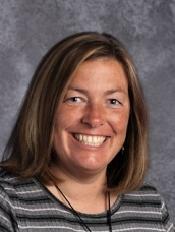 She possesses compassion, understanding and leadership and brings several years of experience to PHS. She completed her BS and M.Ed. in Child and Family studies at UNH as well as her Early Childhood and Elementary certification from UNH in 2012. Her wish is to instill a love of learning early on in students to carry them through the rest of their school career.